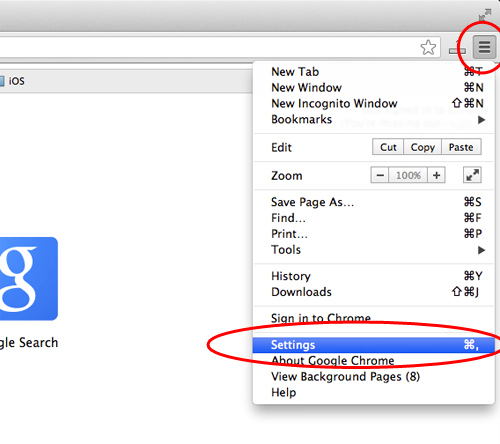 First step: You need to open the settings on Google Chrome by click the menu icon in the upper right corner of the browser to the right. 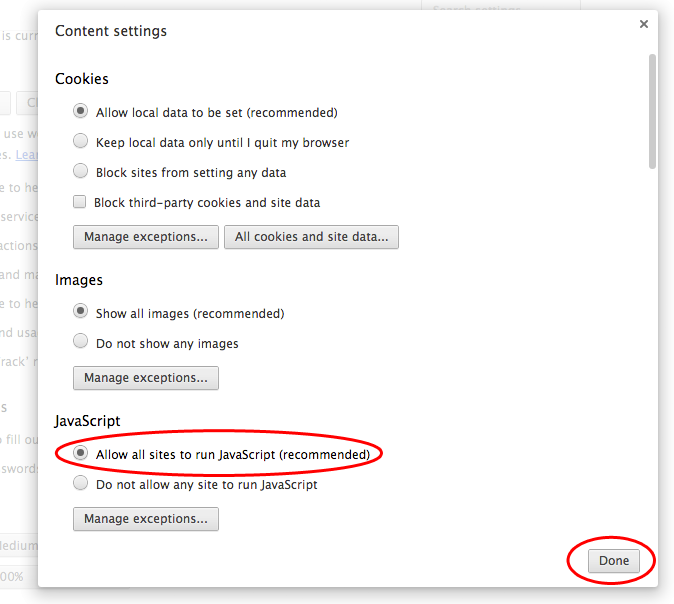 And choose Settings from selection popup. From Settings, click "Show advanced settings…". It's located at the very bottom of the Settings section. 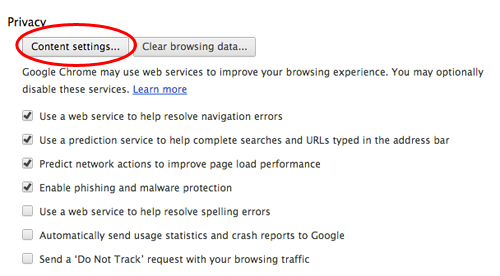 Under the the "Privacy" click on the "Content settings…". 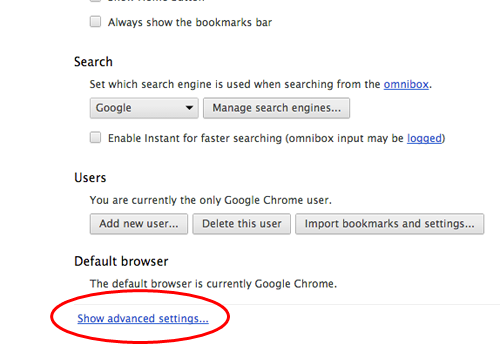 Click on the "OK" or "Done" button to close it and close the "Settings" tab.